On September 19, 2017, the atmosphere on the Sotheby’s auction floor was suspenseful, to say the least. The hammer went down on the legendary George Daniels Space Travellers’ Watch, fetching £3,196,250, the most ever paid for a British watch. 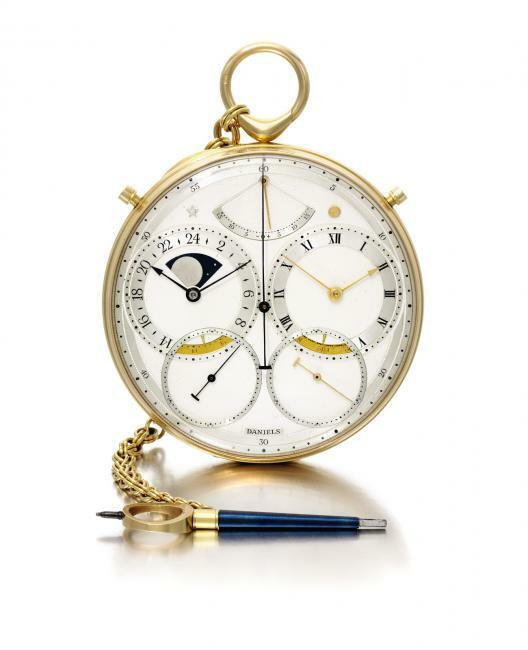 This is the second time in 5 years the watch has changed hands, selling for just over £1,300,000 in 2012.
Who was George Daniels and what makes the Space Travellers’ Watch so special? George Daniels isn’t exactly a household name. He is known amongst serious collectors and connoisseurs of horology, however, the layman may not be so well acquainted. Born in 1926 in the United Kingdom, he is considered to be the most important horologist of the 20th century, and I consider myself very privileged to have met him on several occasions. He received a CBE and an MBE for his services to horology, being the only watchmaker to attain both. During the 1970’s Dr Daniels invented the co-axial escapement, more commonly known today by its use in the Omega calibres. He sold his design to Omega and in 1999 they put it into mass production in the form of the calibre 2500. Over the years Dr Daniels completed many timepieces by hand including a marine chronometer, pocket watches, wrist watches, tourbillons and repeaters. However, none quite match the beauty, finesse and horological brilliance of the Space Travellers’ Watch. What makes the Space Traveller so special? The movement has two separate going trains, driving a single balance wheel, with an independent double wheel escapement. One of the trains tells sidereal time and the other train tells mean solar time. Historically, the reason for needing both types of time was to check the accuracy of mean time clocks at a time when the only way to check was via the stars. A watch that had the function of telling solar and sidereal time could now calculate the difference for you. A true solar day is the length of time between two consecutive passages of the sun through the meridian at any given place, basically, it’s the length of time between two true noons. A true solar day can’t be used as a unit of time because the length of a day varies due to the earth having an elliptical orbit. Because of this, a mean solar day is used, the average, taken over one year, of all true solar days. The difference between mean solar time and true solar time is known as the equation of time and is pictured below. 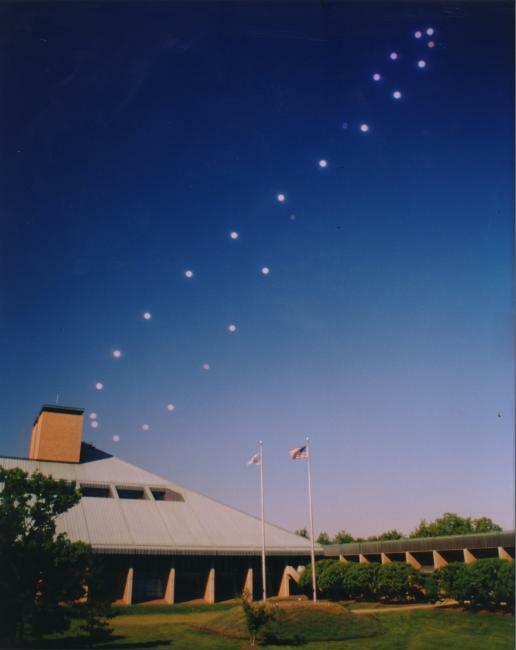 This photograph shows the position of the sun taken over the course of one year from a fixed location. Sidereal time is the length of time between two consecutive passages of the same star through the meridian. A sidereal day is shorter than a solar day by 3 min 56 seconds. Traditionally, a watch that told both types of time would essentially have been two watches with separate trains and balance wheels mounted in one case. That didn’t cut it for George. As stated earlier, he came up with a solution to have two separate trains, driving a single balance wheel. When George was calculating the accuracy of the watch he managed to achieve a yearly accuracy of 1.27 seconds, but he wasn’t happy. He then teamed up with another Dr Daniels of Cambridge University, who had an interest in horological mathematics. He helped George to correct the accuracy of the watch to 0.4 seconds. Then the Space Traveller was born. Because of Dr Daniels help on the project, it is sometimes called Daniels Squared. 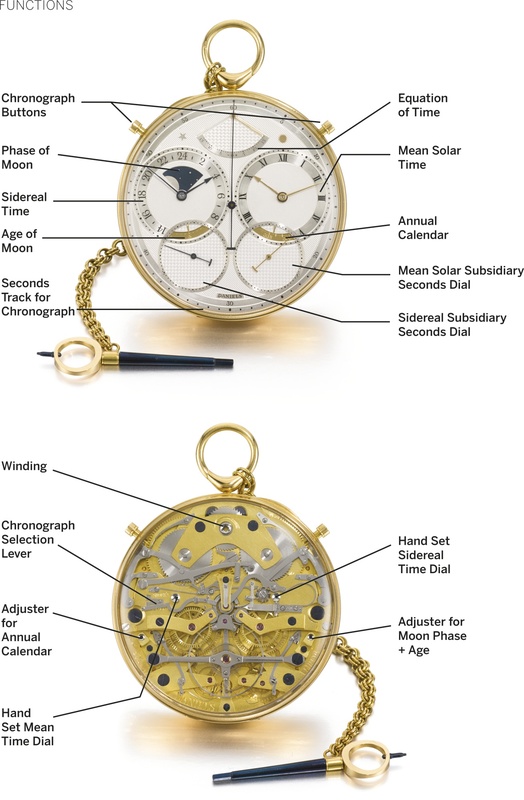 The piece also incorporates an equation of time, calendar, moon phase, moon age and chronograph which can record either sidereal or mean solar time, whichever is chosen by the operator. The Space Traveller truly is an amazing feat of horological brilliance. Even though it was named in honour of the greatest space exploratory journey of the 20th-century, the moon landing, I think you’ll agree it has earned its own place in 20th-century accomplishments. Truly a most remarkable watch crafted by an even more remarkable man. Ashton Tracy is a WOSTEP trained watchmaker with a passion for all things horological. He currently works as a watchmaker for Rolex Canada and undertakes Horological Restorations in his spare time.